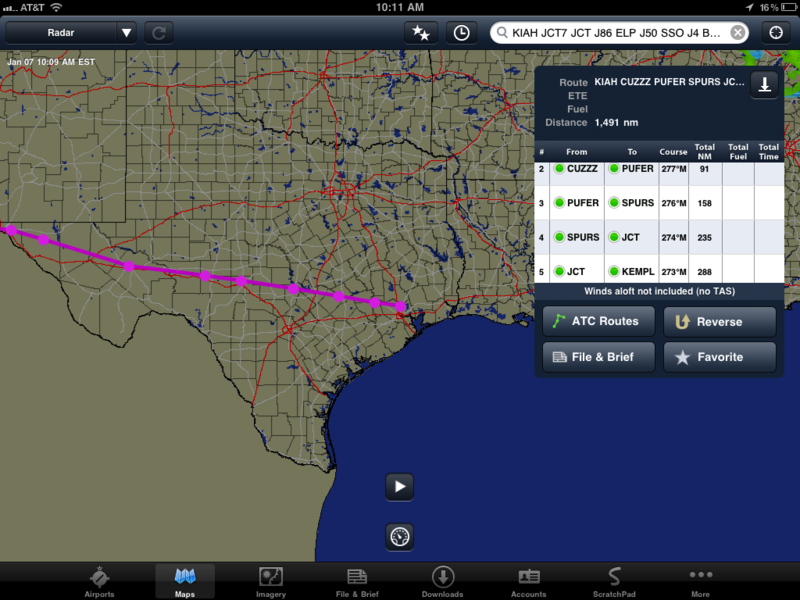 Enhanced route weather and winds aloft calculations are now available to ForeFlighers. This means if you plan a flight using airways, GPS waypoints, or SIDS/STARS, for example, ForeFlight will display the current flight rules for the waypoint and incorporate more winds aloft forecast data and display enhanced, wind-corrected flight plans. We also now have global, gridded, winds aloft forecast data and will shortly be able to incorporate winds aloft computations for any route of flight, anywhere on the planet, at altitudes up to 60,000′. Here’s a screenshot of the Nav Log showing flight rules for waypoints.